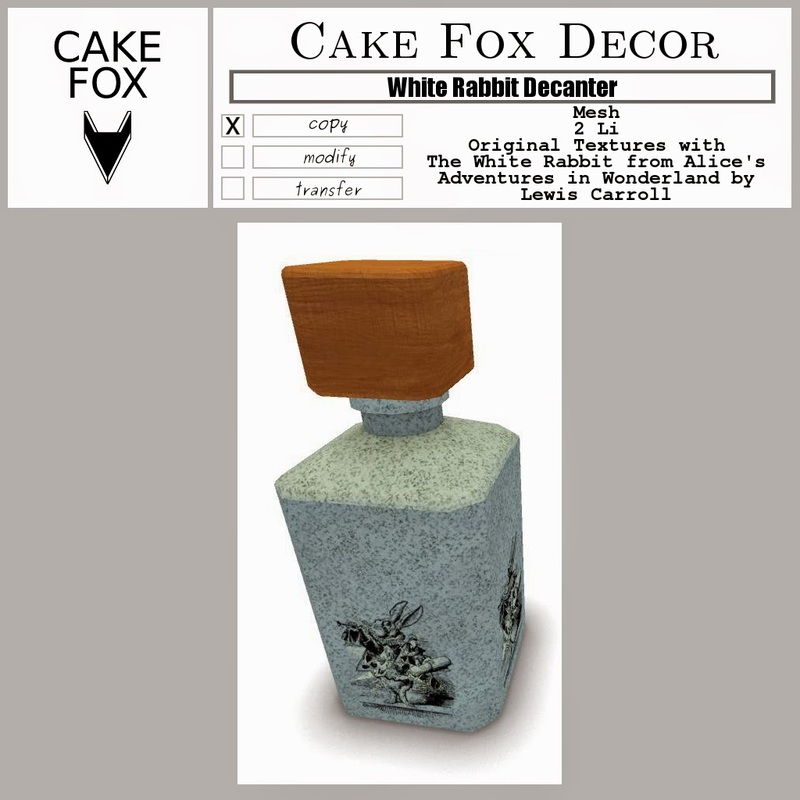 Big Thanks to Aerlinniel for posting the Cake Fox Decor White Rabbit Decanter as part of her blog post on the White Rabbit Hunt currently running. Here is the vendor image again as a reminder. Get the decanter at Cake Fox Mainstore. You are welcome, it's a great item!